I've been trying to do as much revision as possible over this holiday because I know how distracted I get when I'm actually at school. I have plenty of free periods but these tend to consist of me buying food and chatting rather than actually working. Considering exams are about 4 weeks away (and my textiles practical only 3!) I thought it would be best to knuckle down and do as much as I can now so I don't have to stress as much later. BUT, me being me, I've been quite distracted. The first week of the holidays I tried really hard to revise pretty much the entire time! 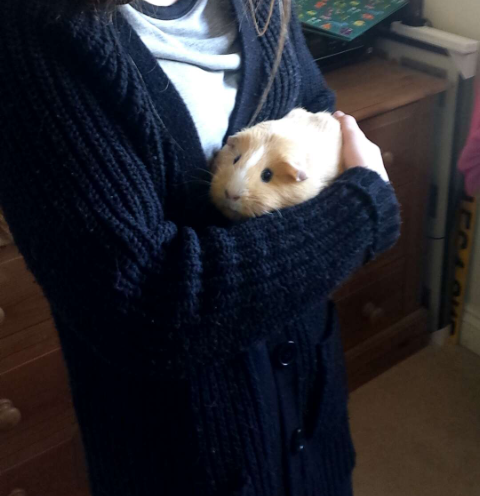 I managed to do this for a couple of days and even focused on revision when I went to see my best friend (although this gorgeous lil guinea pig was a minor cuddely distraction) which was pretty shocking! So, after spending much of my first week working and revising I decided for my second week to be a bit of a 'break week'. I went to see my blogger friend Sophie and we spent a couple of days purely blogging, eating, dancing and watching our favourite shows on Netflix! Sophie wrote a great post about this which you can read here! 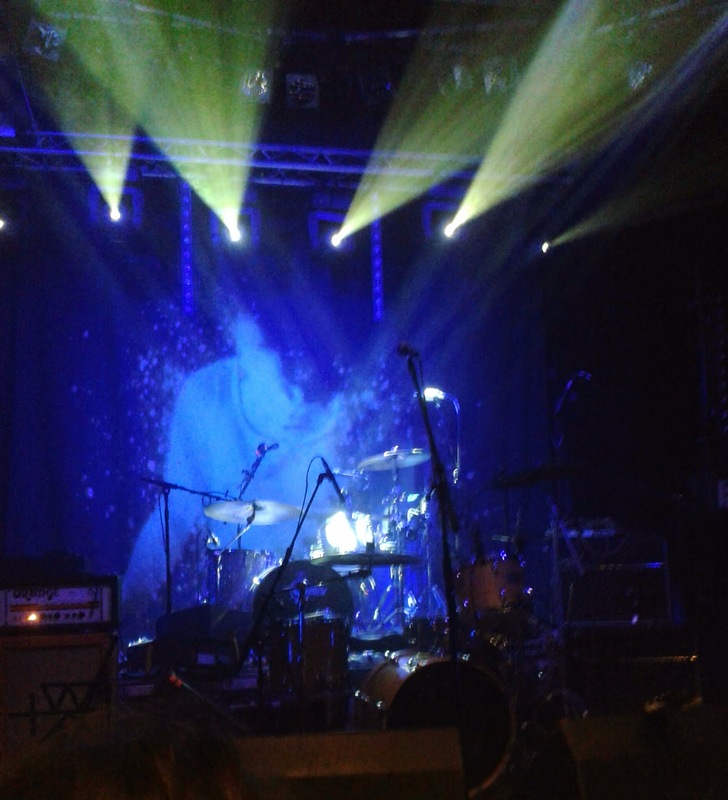 Then on Friday I went to a concert to see Wolf Alice at the Cambridge Junction. The venue was so small and it was a great atmosphere. 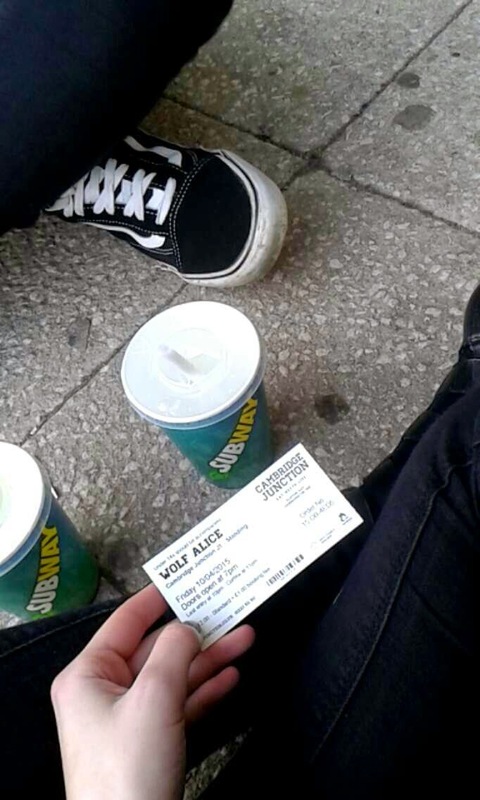 We got there quite early so we got ourselves a Subway and stood in the line. It was annoying having to wait outside in the cold but when we went in we got right to the front! The music was so good! 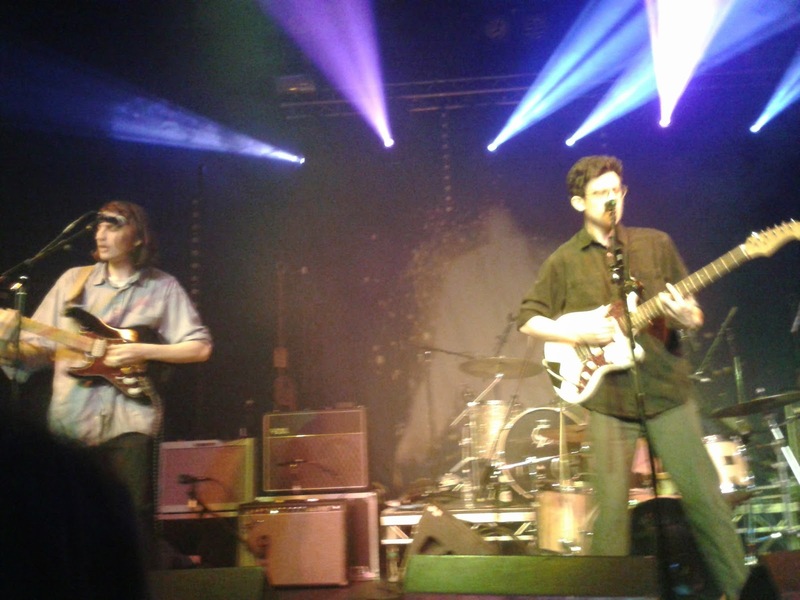 Both the support acts (Bloody Knees and The Magic Gang) were amazing! Everyone is the audience was going crazy when Bloody Knees came on and the mosh pits began. The band were covered in tattoos and screamed into their microphones, it was crazy loud and so good! I think The Magic Gang was more my kind of music though. They had a kind of "The Smiths" look about them and their music was so upbeat and chill. Then Wolf Alice came on and they looked and sounded amazing! Ellie's voice was exactly the same as it sounded on their records, you could tell there was no auto-tune just pure talent! Here comes the drama! I was completely smushed up against the barrier and people behind me kept pulling my hair and dragging me backwards just so they could get to the front! To be honest, I expected this and wasn't ready to give up my space just yet. I managed to hold on to the barrier for the first two songs, but me being the fragile little girl I am, couldn't push other people away from my space any longer. The atmosphere was great, everyone was sweating and screaming along to the song. It got to the point where I was being elbowed repeatedly in the face by a man to by right and rammed into by a group of completely wasted 21 year olds on my left. Picture courtesy of my friend Bailey. I got no pictures because I physically couldn't move my arms to get to my phone in my pocket, that's how crowded it was! My friend managed to take this just as one of their slower songs came on, but by that point I had already been practically thrown into the middle of the crowd. When their next some came on, I was surprised by a mosh pit right where I was standing! I was literally bashed into so many times and as I tried to make an escape attempt I was thrown to the ground - moshpit centre! It was one of the scariest moments of my life, I was repeatedly kicked in the face and stamped on...so after lying on the floor for about 2 whole minutes (which felt like years) a man finally got through to help me up and I spent the rest of the night cleaning up my bloody arm in the toilets! Fun eh?! Honestly, what did I expect when Wolf Alice is a rock band that screams a lot?! Maybe my own mistake, but it was an experience! At least I know the next time I see a band like this that I need to be more aggressive and persistent in keeping my space and smart enough to find my own way out of mosh pits! I've definitely learnt something! So those are a few things I've been getting up to recently, I hope this post wasn't too boring. I hope you all had a lovely Easter break! I'm busy preparing for exams as well! We have two weeks of classes left and then exam week. It's crazy how fast time flies. I'm happy to hear that you've been able to find breaks in your schoolwork to see your best friend and go to fun concerts :) Sounds like a blast. Love this Georgia! Had such a good time with you! Can't wait to see you Tuesday!! 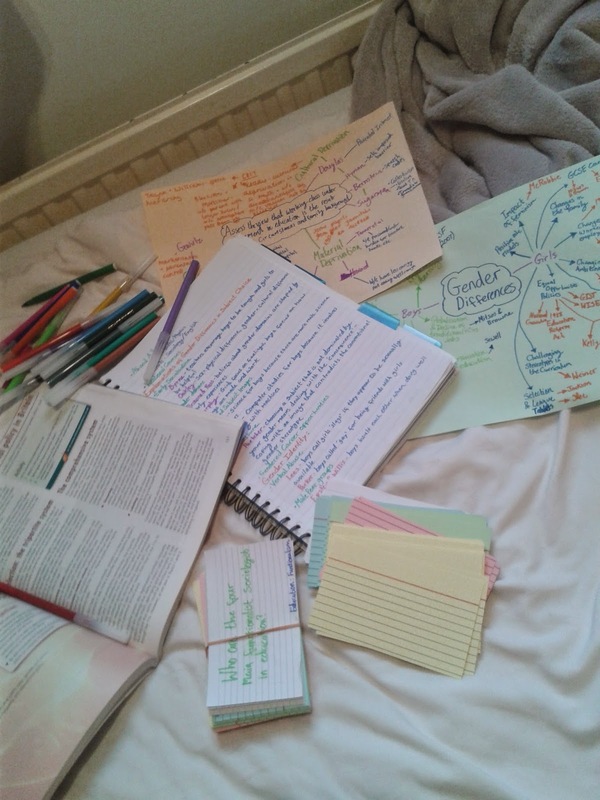 I've been trying to get revision done too, my second year uni exams start in 4 weeks! good luck for yours! Loved reading your post. 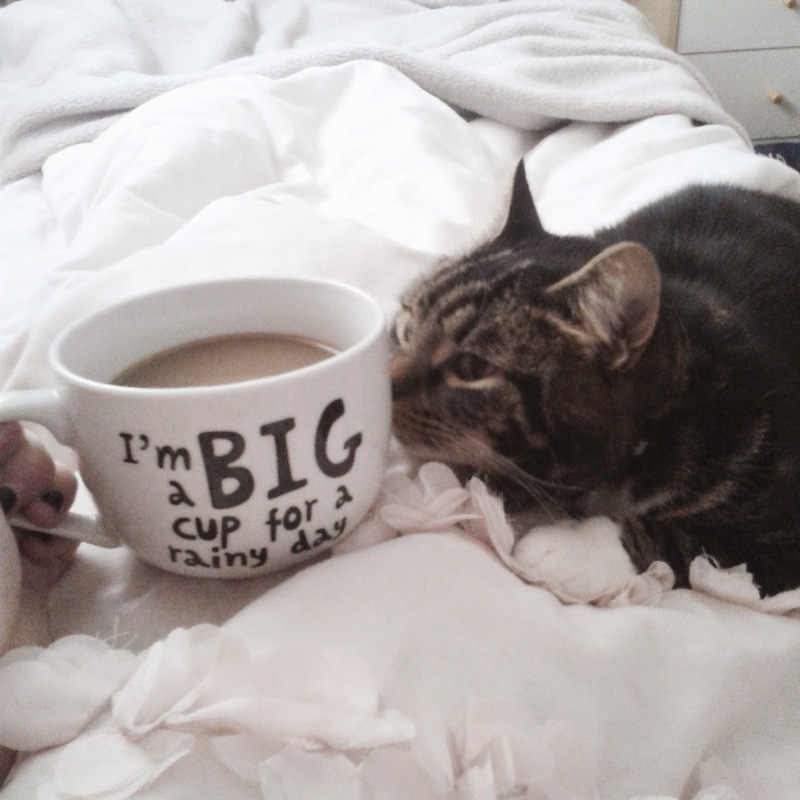 Good luck with your exams, dear.